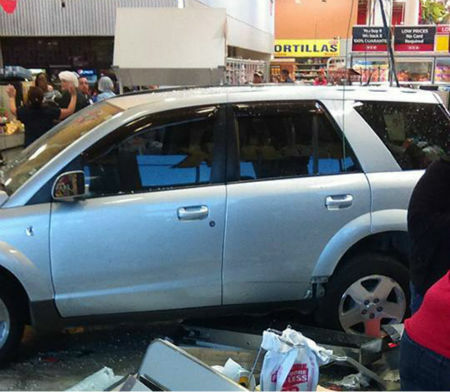 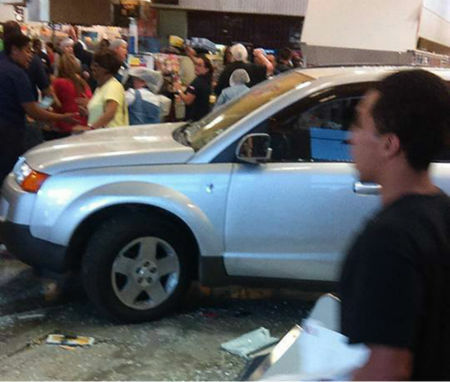 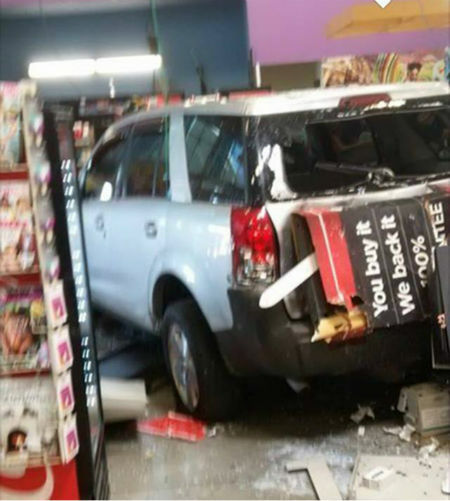 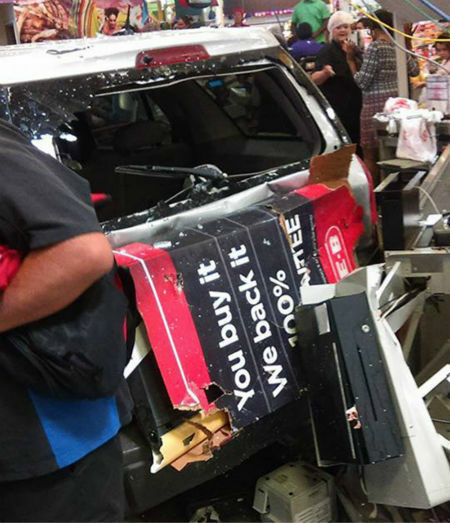 Viewer photos of a vehicle that drove into an H-E-B in the Gulfgate area. 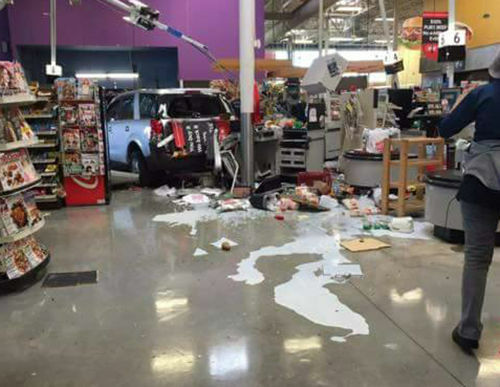 HOUSTON -- Police say a car has crashed into an H-E-B in the Gulfgate area. 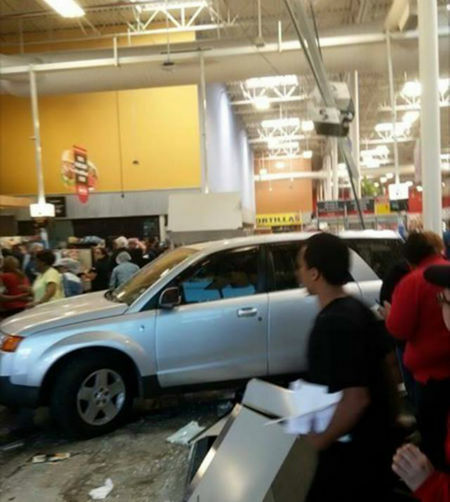 The accident happened at the grocery store on Woodridge. 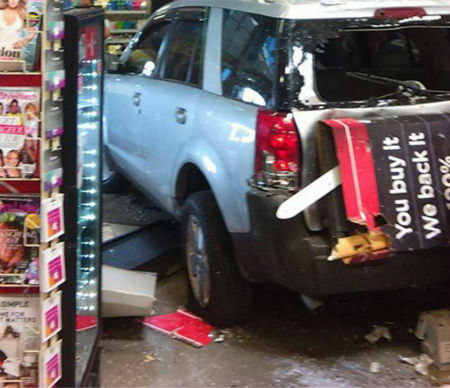 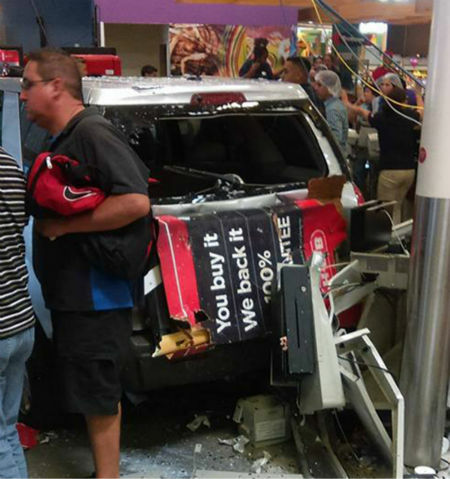 A photo from someone at the store shows the vehicle stopped by the cash registers.